In recent times, saturated fats has become more acceptable. Many studies have shown that foods high in saturated fats such as eggs, coconut oil and organic butter are actually good for us. 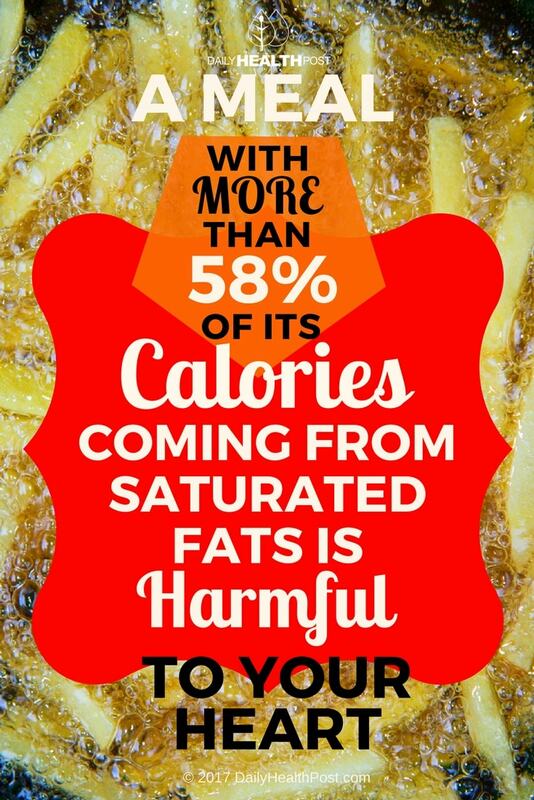 Now, that isn’t to say that eating saturated fats from healthy foods is bad for you. But eating A LOT of it in one sitting is definitely not a good idea. The study from the Université de Montreal shows that a single meal of fried and fatty foods can cause damage to your arteries, as opposed to meals that comply with healthier diets, like the Mediterranean diet (which is rich in fats, such as mono- and polyunsaturated fatty acids). The study set out to compare the effects of junk food with the effects of a typical Mediterranean diet meal on the heart, specifically on the endothelial function of the heart. Endothelial function is linked to coronary artery disease risk. The results were established in 28 non-smoking men, who ate the Mediterranean-type meal first and then the junk food-type meal one week later. 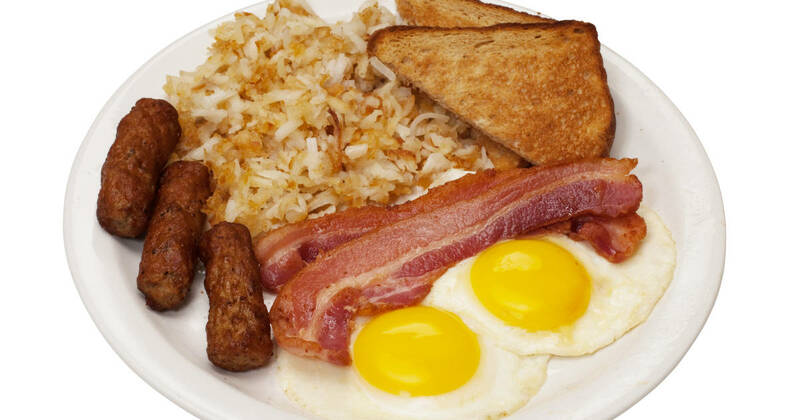 The second meal consisted of a sandwich made of a sausage, an egg, and a slice of cheese, and three hash browns, for a total of 58% of total calories from fat: extremely rich in saturated fatty acids and containing no omega-3s. At two hours and four hours after each meal, participants underwent further ultrasounds to assess how the food had impacted their endothelial function. Dr. Nigam and his team found that after eating the junk food meal, the arteries of the study participants dilated 24% less than they did when in the fasting state. In contrast, the arteries were found to dilate normally and maintain good blood flow after the Mediterranean-type meal. In addition to showing that even just one junk food meal could cause damage to the arteries, the study also revealed that participants with higher blood triglyceride levels could actually benefit more from the Mediterranean diet meals, meaning those with markers for heart disease could be well-served by a diet high in “good” fats, lean proteins, and whole grains. “We believe that a Mediterranean-type diet may be particularly beneficial for individuals with high triglyceride levels, such as patients with metabolic syndrome, precisely because it could help keep arteries healthy,” said study leader Dr. Nigam in a press release(1). The study, which was published in the Canadian Journal of Cardiology(2), is one of many recent studies revealing the health benefits of a Mediterranean diet, which features lean proteins, high levels of omega-3 fatty acids, fresh produce, and moderate amounts of healthy fats such as extra-virgin olive oil. In addition to being associated with a lower risk of cardiovascular disease, as shown in one 2007 study from the journal Clinical Interventions in Aging(3), the Mediterranean diet is also associated with a decreased risk of developing Alzheimer’s disease and other age-related dementia conditions(4). This study is unique in that it has shown that even a single meal that adheres to either a fast-food style diet or the Mediterranean diet can have an impact on your health. “These results will positively alter how we eat on a daily basis,” said Dr. Nigam.